Washington (CNN) - Some of the top members of Mitt Romney's two presidential campaigns are teaming up in the nation's capital next week for a reception and dinner designed to raise money for a new pro-GOP opposition research shop. According to an invitation obtained by CNN, the July 23 event is being put together by Matt Rhodes, the Romney 2012 campaign manager who earlier this year was one of the founders of the America Rising PAC. The group's mission is to track and gather opposition research on leading Democrats in the 2014 and 2016 cycles. It recently was behind the startup of the Stop Hillary PAC, which was formed to attack Hillary Clinton, should she run for president in 2016. A list of those hosting the event reads like a Who's Who of Romney's 2008 and 2012 bids for the White House. They include former senior strategists Stuart Stevens and Russ Schriefer, pollster Neil Newhouse, political director Rich Beeson, digital director Zac Moffatt, and Ben Ginsberg, the campaign's top attorney, among others. 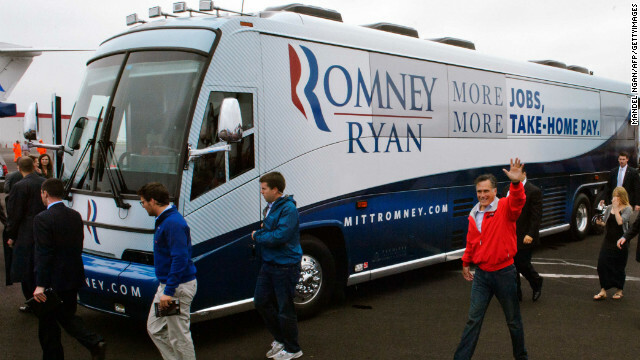 Romney is not expected to attend the event. Politico was first to report on the America Rising gathering. Doesn't President "Landslide" Romney have anything better to do with his time in office? "I Am A Patriot" (Liz Cheney talking point)". Well, to give them credit ... GOPers sure know how to ... oh, heck ... why do I even bother to comment anymore. Bumper Sticker mentality. If I were a GOP ... I'd be hanging my head in shame at such gullible nonsense. Mr. "I can't win with all my money" is trying to derail our next president. NOT going to happen. The fact that he's against Hillary means she'll win easily. I thought we told the Romney people to take a hike........I guess some people just don't get the message, no matter how clearly it is delivered. Very divisive mottos wouldn't you say Lynda? What they are clearly saying is that they ar patriots and the other guy is not; that America has been taken over by someone un-American; and that America Rising thing is just a plain lie as they contributed to the near-collapse of our country but lifted neary a finger to help set things to rights. They all stand in stark contrast to the very positive, uplifitng, uniting, and non-divisive: YES WE CAN and FORWARD AMERICA. He's doing it Sniffit. He is keeping himself in the mix/limelight hoping that they beg him and Queen Ann-toinette to run again.